There are all types of myths about freight transport companies and truck drivers. From causing more accidents and damage to roads to paying a high price to forwarding freight, here are the facts. Like all drivers, truck drivers end up involved traffic accidents from time to time. Often media sensationalise these accidents because they make dramatic news stories. More so than any car accident. Heavy vehicle accidents cause more damage than other accidents. It takes them longer to react and stop in unexpected road conditions because of their weight. According to statistics, truck drivers are safer drivers than other road users. Data released in March 2018 shows that 80 per cent of truck crashes involved multiple vehicles. Of these, only 10 per cent of these were single vehicle truck accidents. When it comes to car accidents, 45 per cent of these are single-vehicle crashes. This shows that car drivers are more likely to have a single vehicle crash than truck drivers. A total of 15 per cent of all road fatalities and 4 per cent of injuries are from truck accidents. Statistics show us only 20 per cent of these were the truck driver’s fault. It is not true that heavy vehicles cause more damage to our roads. Trucks have suspension systems to match their weight so they can operate safely with higher mass limits. Trucks cause no more damage to roads than vehicles without these suspension systems. Many people believe that because truck drivers are on the road all the time so are at higher risk of involvement in fatigue-related accidents. However, this is not true. Heavy vehicle drivers have to comply with strict fatigue legislation. This legislation sets out how many hours a day, week and month drivers can work. And they have to record their hours in a logbook which police check at random. If the hours do not add up, truck drivers’ risk being taken off the road and large fines. These days new trucks are much safer and more comfortable and have better sleeping quarters. This means drivers get better quality sleep while on the road. The costs you pay a freight forwarder are more likely to save you money for the price you pay. When you have little idea of moving freight, doing it yourself is when you will pay a high price. 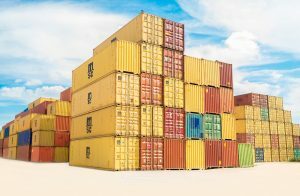 It is not as simple as you think to move freight across the country or to pick up a shipment when you import. You need expert help if you do not want to end up paying high prices. There are customs to navigate, import duties and the paperwork. Then you need to get the best price for carriers to transport your goods. It can take you days to sort all this out. Calling a freight logistics company will take you a few minutes, and they handle it all for you. 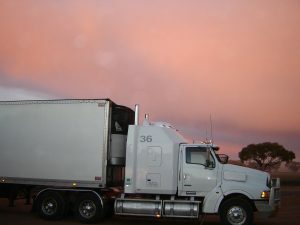 Freight companies can also get you better transport rates if you are not in the business. What can take you up to a week will only take the professionals a couple of hours as long as they receive the paperwork in advance. 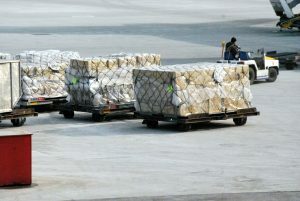 In reality, you can pay a high price organising freight transport yourself. Not to mention the stress and mistakes you will likely make when you do not know what you are doing. A lot of people think they lose complete control when working with a 3PL freight company. Well, you cannot control everything. Working with a 3PL company gives you a lot more control. When you try to do everything in-house, you may not have the experience or systems to manage every part of your supply chain. In this situation, you are already out of control. This means you will pay a high price in time and money trying to organise things. Not to mention the higher price you pay without transport knowledge or experience. Working with a 3PL company handles everything for you. This then gives complete control of your inventory, shipments and costs. A 3PL company gives you the ability to track everything through a central point. They streamline the processes including the documents and invoices to your customers. These companies have good relationships with both international and domestic companies. This gives you a range of shipping options, so you do not pay a high price. So, in reality, if you want more control of your supply chain, work with a 3PL freight company. The myth freight companies lack transparency likely comes from the old days. These days everything is now computerised. Before computers, it was difficult to give customers the information they sought. Paper records and telephone calls were the only way to get things done. Now freight companies use the latest technology. They can access any information at any time they need to pass on to their customers. They have easy access to domestic and global networks to offer better services. Transparency is easy these days with everyone hooked up to technology. The belief freight transport companies do not understand your business is a myth. It is likely they understand your business needs better than some of your staff. After all, they are in the freight transporting business. Freight companies only need to understand your business philosophy to know what is important to you. This tells them what you expect and how you treat your customers. After all, freight transport companies are in the business of freight logistics. They deal with all types of industries and businesses and their unique needs. It is in their interest to understand your business specifics to deliver the services you need. No matter what freight companies you work with, you still need some sort of insurance. Talk to the company you plan to work with and ask them questions about insurance. 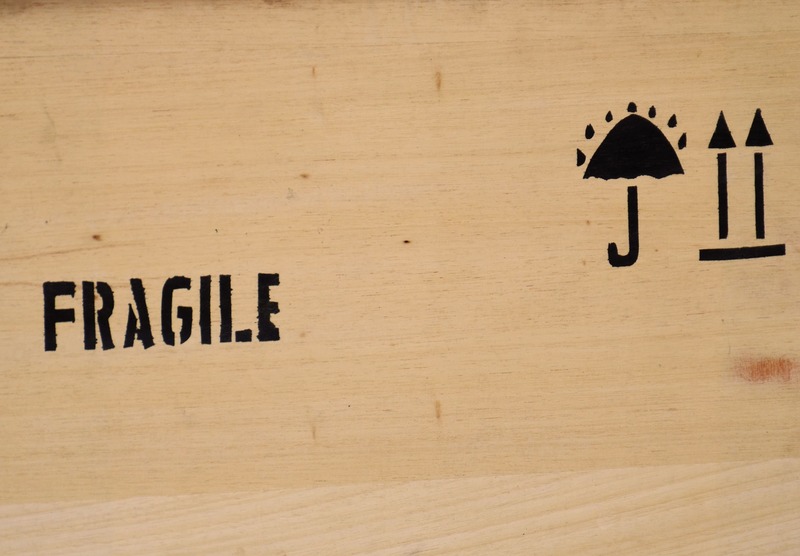 Their insurance will cover some things when your freight is in their hands. But you need to know exactly what they cover in what situations. You cannot afford to make assumptions in case there are mistakes or accidents. No matter how good a transport company is, there are things beyond their control. Do your research before choosing the right transport company. Look at things like their safety record, financial health, insurance coverage and how they communicate. You need to ask questions. This will give you a full understanding of the company you are going to put your faith in to move your freight. Some freight companies may be difficult to deal with, but poor customer service does these companies no favours. Companies that are difficult to deal with will mean their customers will spread the word. These days it is a dangerous thing to offer poor customer service. It is easy for customers to talk about their experience with the company to the world. Social media is a good example. People have no trouble offering their experience with companies – good or bad. There are also review websites. Anyone can give their opinion on these sites of what a transport company is like to work with. Any company can make mistakes and accidents happen. How a company deals with difficult situations is what sets them apart from others. Customer service is usually at the top of the list of any company’s ethics. They know people can talk about their experiences to the world. When the experience is negative, this is not good as it damages reputations and loses business. 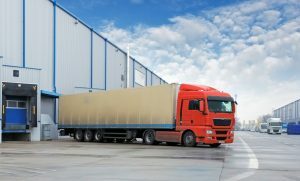 Most freight companies go out of their way to create good customer experiences. When something goes wrong or there is an accident it costs less in the long term to make it easy for customers. They have the experience to handle difficult situations. After all, things out of their control happen. Most freight transport companies treat all their customers with respect. Most companies do not make a company that ships less freight pay a higher price. While they leverage volumes for bigger clients to reduce prices, most pass these savings on to all their customers. Freight costs will usually not be higher no matter how much freight you need to move. There are often solutions such as loading small amounts of freight in combination with other loads. When working with a transport company ask them how moving small loads will affect the price. Now you know the difference between myths and truth. Talk to freight transport companies about your needs. Know what you want. They can help you meet legislation and move your freight anywhere in the world at a cost-effective price. You now have the information you need to optimise the organisation of your warehousing and distribution centre. Technology is changing fast. So, make sure you research the best options to suit your business. Contact us on 1800 999 102.